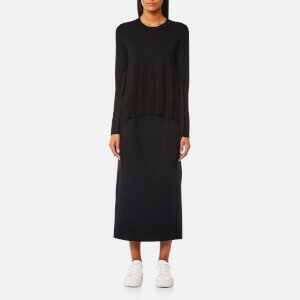 Women’s black culotte trousers from Helmut Lang. Crafted from satin-back crepe fabric, the wide leg culottes comprise an encased, elasticated waistband. The cropped trousers are complete with angled side pockets and a button secured patch pocket to the rear.